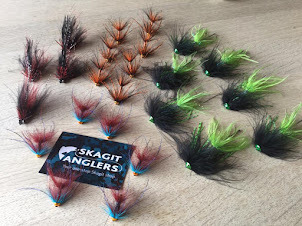 Skagitanglers.com: Sea Trout on waking flies - Part 3. 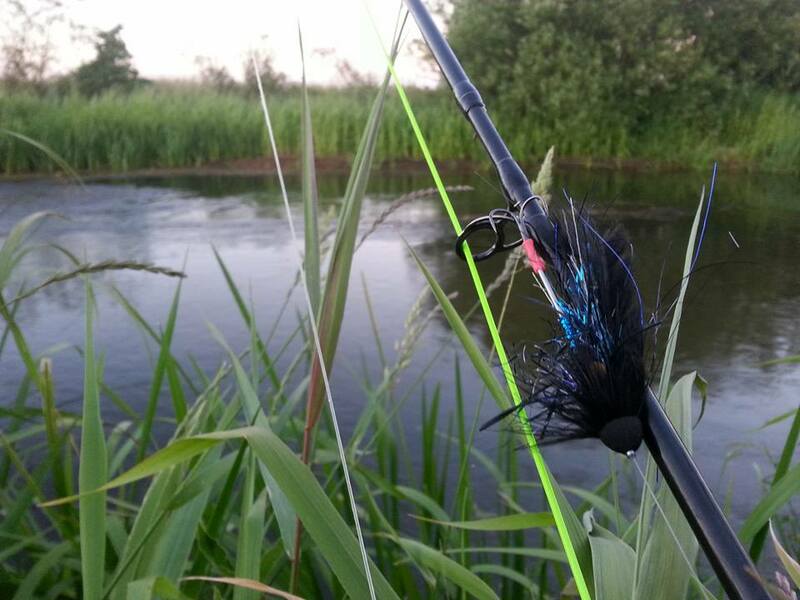 This post will cover the essentials on gear selection when fishing for seatrout with waking flies but first it's appropiate with some backgrund information on sea trout and the fisheries. Seatrout migrates from the sea and fiords of Denmark back to the same stream or creek they once were “born”. This migration last from late May to in the late fall. 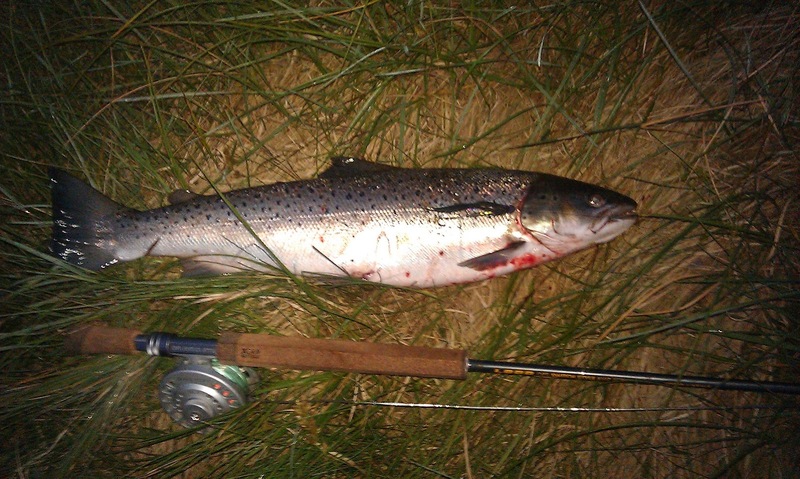 Seatrout grow big in Denmark. Several +10 kg fish are caught each year. Most fish are in the 2-4 kg range though. Seatrout are very hard to catch. They are back in the stream/creek for only one reason and that’s not eating. They are here to spawn – that’s it. But if you know a few tricks it’s still possible to provoke them to take a fly. 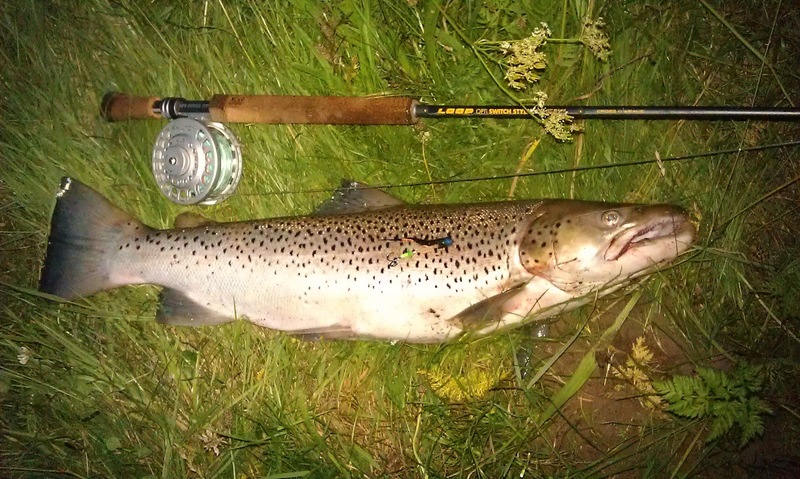 Fly fishing for seatrout has a long tradition in Denmark . In the last few year things have changed. 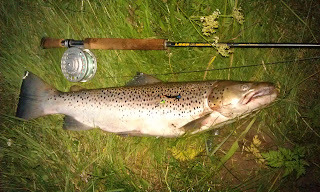 We now mostly fish for freshrun seatrout in the dark hours with big flies. Later in the season seatrout can be caught all day but in summer you’ll have to loose some sleep to get close to the big ones. What we love most about fly fishing for seatrout in the dark is that it’s a very visual game. You’ll often see the seatrout following your fly for quite a distance before they hit it, miss it or simply just turn around again. 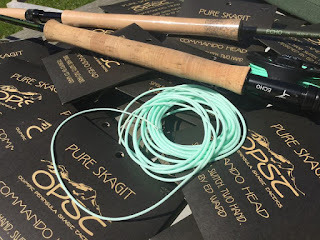 We at skagitanglers.com have a few favorite techniques and set-up that’s in our opinion are perfect for these long summer nights hunting for seatrout. We prefer fishing with either a single hander #7 or even better a #6 or 7 switch rod which can be fished with one hand when needed. As for our choice of lines we use three different set-up. 1) Commando Skagit head from OPST. 4,5-5,5 m fished with a mono leader or a intermediate polyleader. 2) ECHO Skagit Intermediate with 12’ mono. Very “dangerous” tool in the right hands. 3) ECHO Skagit Switch and 10’ Intermediate polyleader. Easy to hande - also during the dark hours. We need to fish those very short lines due to the fact that our streams are small (4-8 m wide) and we want to fish the flies very aggressively. Generally we cast with a 90 degree angel and start stripping the fly when it hits the water and we will keep stripping it all the way in. This can not be done effectively with traditional long (9m or more) lines. So short lines is they best choice by far. We want the fly to make as much noise as possible. We attempt to make fly to move just beneath (sometimes on top of) the surface – creating a wake as it swings across. You need to cover as much likely holding water you can. But don’t be fooled. Seatrout like wide open stretched especially if you fish a stream with not too many anglers. Move fast. Fish hard. Keep casting to hot spots. A short heavy easy loading line is perfect for this kind of fishing technique. Here's a few hint on our flies (see also Part 1-2). They are big, there are black and there are actually quite ugly. But they work and that’s the important factor to us. 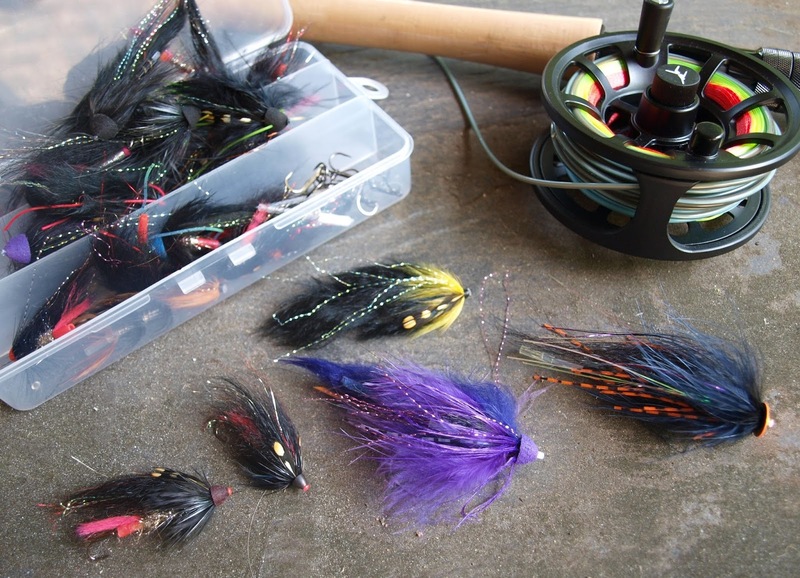 You don’t have to be afraid to try new ideas as long as you keep the flies moving fast and always try to get as much movement build into the flies as possible. If you want to tie your own night flies for seatrout we suggest you take a good look at our shop. We have all the materials you need. You can start with a basis of materials like rabbit strips, opossum skin, dark dubbing, Schlappen feathers, plenty of flash, deer hair (for muddler heads), Soft Cones and rubber legs. You can tie the flies on plastic tubes or as we have been doing lately as intruders on shanks. The last option allows you to place the hook way back on the fly. That’s a very important detail which reduces the numbers tail biters. We find both tubes or intruders very efficient and it’s a matter of style which you prefer. We are skagitanglers to the bone and hence the intruders have a place close to our hearts. Feel free to contact us at info@skagitanglers.com if you have questions or need some help finding the right gear for your next trip.